THE LAST EIGHT WEEKS WORKING AT THE COOPER HEWITT SMITHSONIAN DESIGN MUSEUM (CHSDM) WAS A FRUITFUL EXPERIENCE. I saw how educators provided a variety of experiences for primary and secondary school students; I participated in almost every program offered during my time there; wrote curriculum for programs and helped develop activities that engaged young people in the design process (regardless of their backgrounds). There were activities, workshops, multi-day camps, a year-long teen program and a national teen design competition. What I took away is that, in Queensland, we are in a unique position with the roll out of the new senior curriculum in 2019 where design is now a stand-alone subject. As a state, we need to expose students at an earlier age to design and engage them in the design thinking process. There is a clear path of study to tertiary level. During my time at CHSDM, I attended one program for 5 to 12 year olds called Design Rep. New York designers or design firms would lead groups of up to 30 primary students on how they use design to create some amazing items. On Saturdays, I would help anywhere up to 60 children and parents through creative workshops that made inflatables, wearable IT, and design park spaces. The workshops were so popular that some participants were asked to return for the afternoon session if the morning session was full. The CHSDM had little trouble finding keen designers or design studios to help develop workshops and fill a school year with great design experiences. Queensland could emulate this model to some extent. There is a clear need to give students experiences in design if you want to develop sustainable enrolments in the new senior design subject and to have the graduates who plan to continue studying design at a tertiary level. 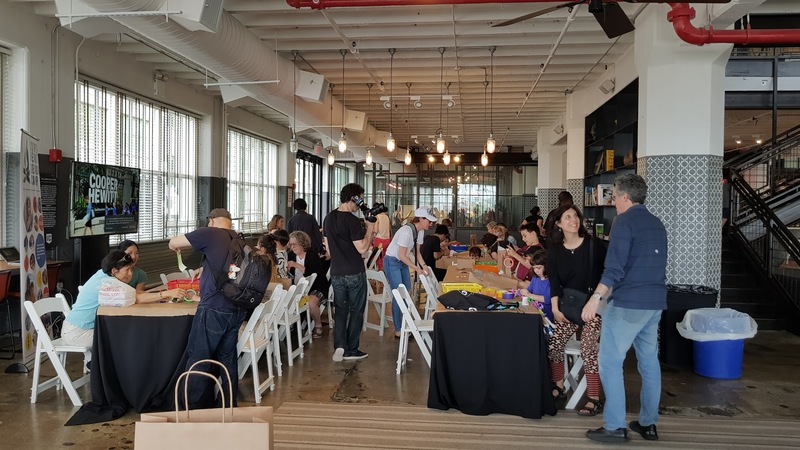 The CHSDM also provided exposure level programs that provided contact to design through free public workshops such as the NYC X Design public event. 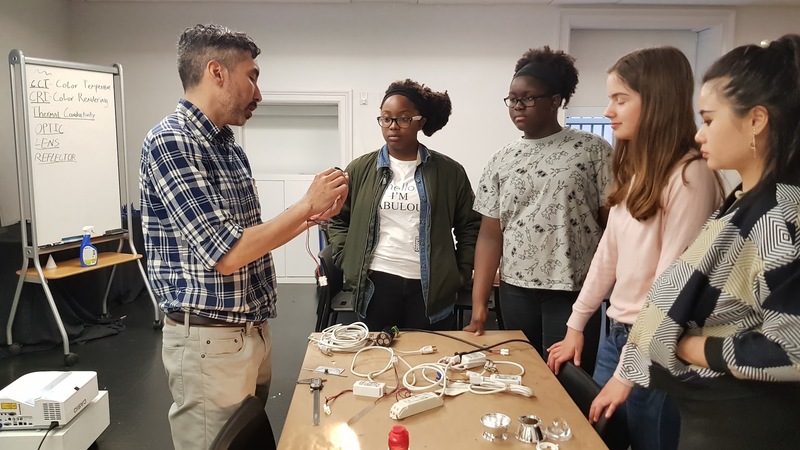 They engaged young people by challenging them to design a utensil that could be used for things that cannot normally be eaten with standard utensils (examples given: moon, sun, clouds or rainbows). This primary age program was provided at a public event in Brooklyn and attracted over 100 children and parents over a weekend event. Similar events in Queensland could potentially happen during the show season and could reach a great number of young people and parents. Exposure to design and design thinking is inspiring and I hope to contact local show societies in Far North Queensland to see if similar workshops could occur in 2019. In addition, the CHSDM had programs where students were immersed in design and design thinking over the course of a school year. These senior high school aged scholars applied for selection in this program. The program was a commitment of weekly meetings, which then led to field trips to visit designers in the city. They learned design thinking first-hand in private design studios. There was always a design challenge that engaged the scholars for each weekly meeting or field trip. The design challenge was to create a public display that would encapsulate what they had learned over the year. I participated in the last seven weeks of this program and the difference in what they produced in earlier challenges to those in the final months was impressive. My long-term goal is to see this sort of immersion program happen in Queensland regions. It would take permanent positions to be able to run and keen designers wanting to impart their passion. Overall what I will be doing in the next six to 18 months is refine and trial design workshops I have developed as a resource for teachers and other professionals working with young people from primary to high school age. Over the next six months, I will be looking to provide the Cooktown region with free workshops. My aim in creating these workshops at the CHSDM was to create a resource where the right educator could pick up the resource and engage students in a meaningful exercise in design and design thinking. 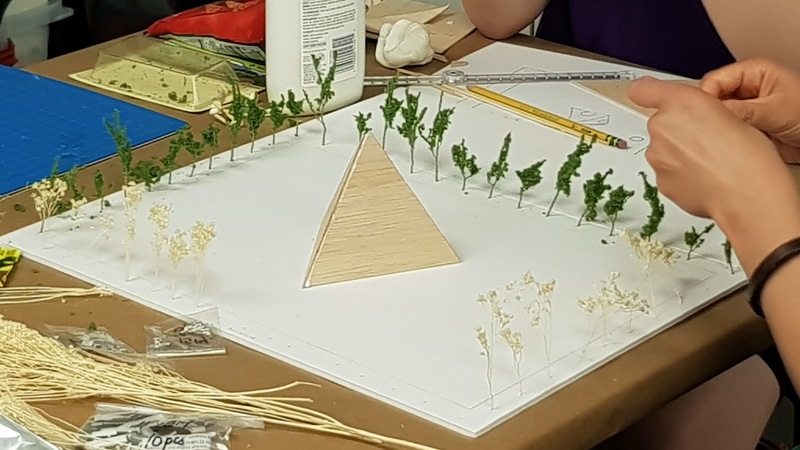 The workshops are scalable between primary and secondary age levels – they cover areas such as graphic design, fashion, landscape design, human-centred design, sustainable design, and IT design. I aim to give each workshop a trial run and then make refinements. I will try to host workshops at schools, markets or the local library on weekends. These workshops should address the opportunity I discussed earlier to engage primary school age participants and their parents in design and design thinking in fun hands-on workshops. My last goal for my post-fellowship time is to attempt to emulate the US national high school design competition that the CHSDM hosts each year. With Queensland having year 11 and 12 students studying design from 2019, this is the perfect opportunity for the design community as a whole to offer students an opportunity to extend their design thinking skills. Driven to higher goals, exposure to leading Queensland designers and solving an engaging design challenge will motivate students and perhaps help them along with their future career aspirations. A state competition has the potential to unite the design community and provide schools an opportunity for students to engage with the new design curriculum. There is a lot of work ahead to promote design, as well as planning to teach senior design in 2019. My fellowship has helped refine my skills in the teaching and planning of design and I am most enthusiastic to help inspire the next generation of designers be they located in my remote part of Queensland or the rest of the state. If you would like to explore the work of past Queensland-Cooper Hewitt Fellows or read more about Herman, go to our Cooper Hewitt Fellows page.